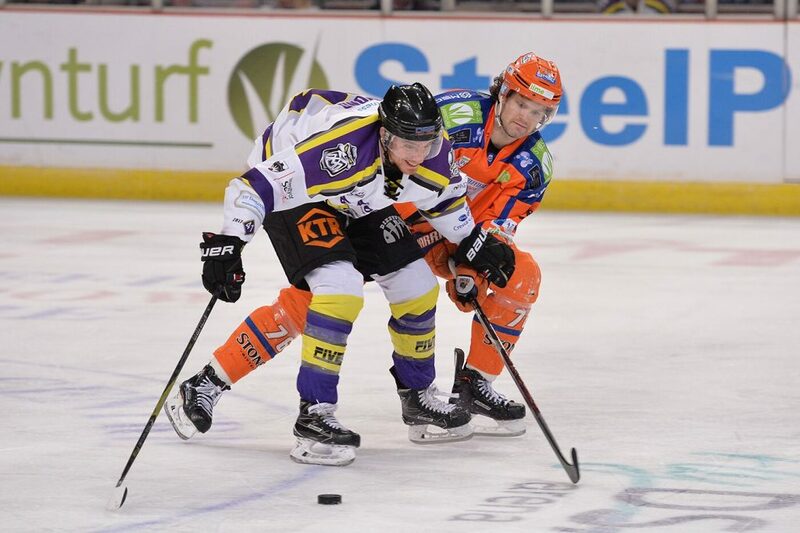 REPORT: Storm make history with 7-5 comeback win over the Steelers! Your Go Goodwins Manchester Storm made history on Sunday evening, as they recorded a HUGE 7-5 comeback win against the Sheffield Steelers, a win which seems them retain the 3rd place spot of the Elite League for another week. 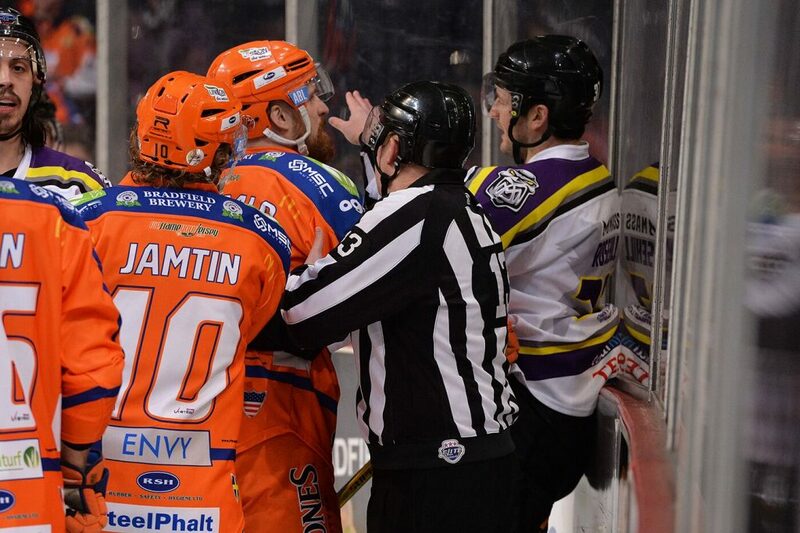 Things for your Storm didn’t start out as well as they could however, with Captain Jay Rosehill ejected from the game with 5:18 played in the period, with a 5+game penalty for checking to the head. 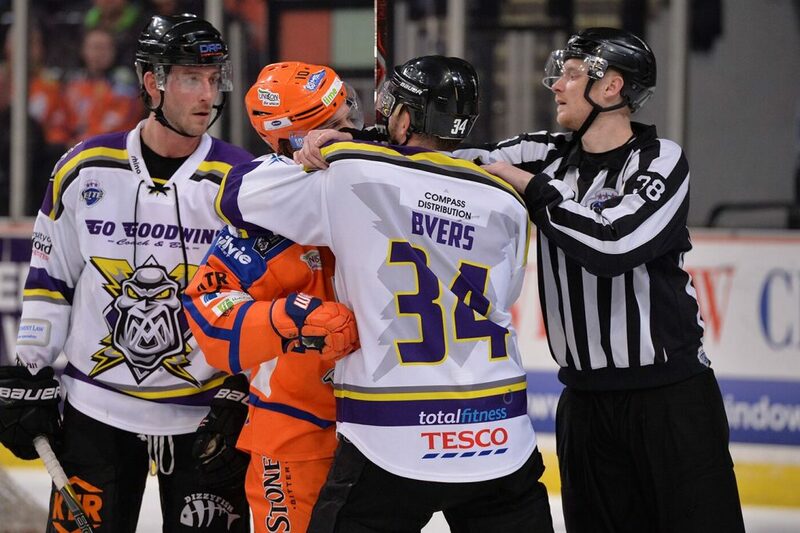 The Steelers didn’t wait long to take advantage of the man advantage, with Mathieu Roy grabbing not one, but two goals in the space of two minutes to give the home side a 2-0 lead. Jonas Westerling grabber a 3rd with 12:04 to all but kill the game… or so they thought! 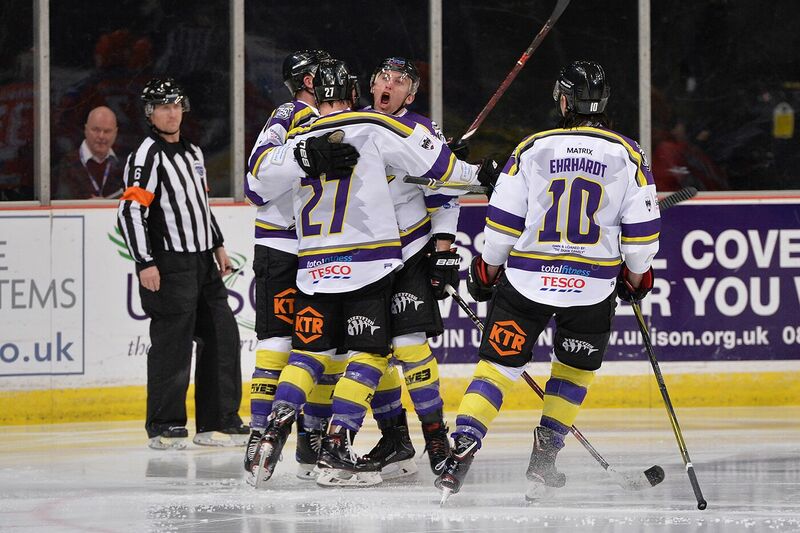 Mike Hammond grabbed the Storm’s opening goal with 17:17 gone in the 3rd to give the visitors a glimmer of home. Andrew McKinney grabbed a second goal for the Storm with 2:09 played in the 2nd period, to cut the Steelers lead to 1. 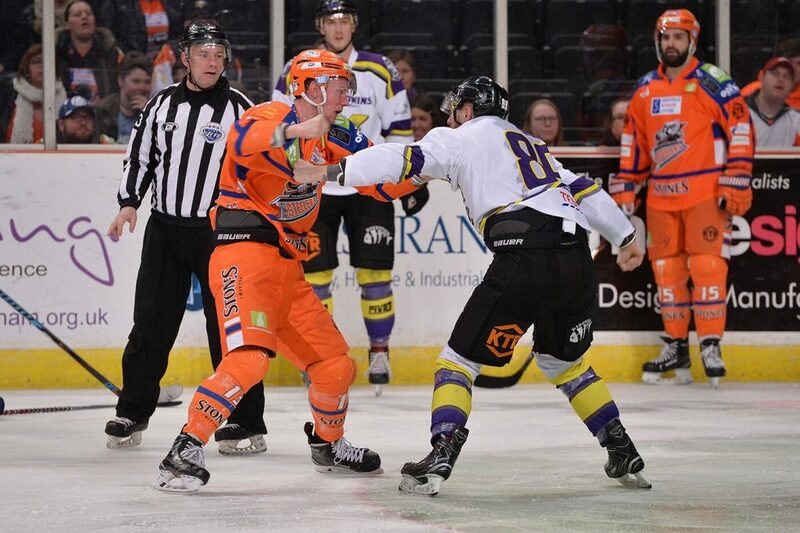 However, 32 seconds later, the Steelers Jonathan Phillips restored the 2 goal lead with an even-handed goal. 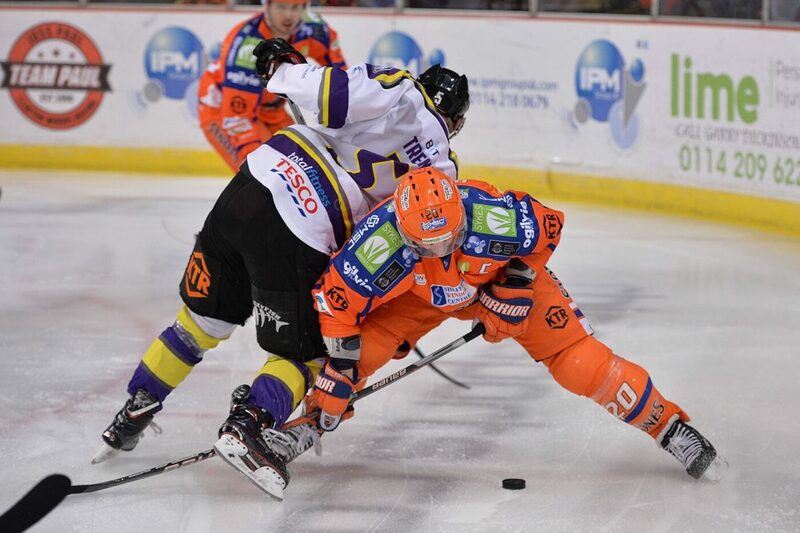 The Steelers then went 5-2 up with 5:07 played in the 2nd, when Mathieu Roy grabbed his 3rd of the night. However, within 50 seconds later, the Storm’s comeback was on. Mike Hammond grabbed his second of the night, before Luke Moffatt grabbed the first of his goals with a well-timed powerplay goal with 15:04 gone in the 2nd. 12 seconds into the 3rd period Luke Moffat tied things up his second of the night. Despite the best efforts of the Steelers, they were unable to pull one back before Luke Moffatt grabbed his hat-trick goal of the night, with 7:11 gone in the final period. 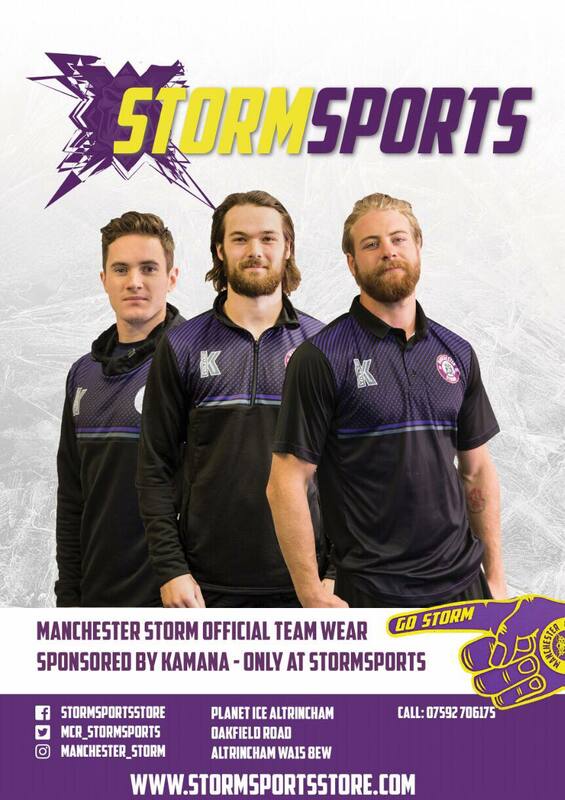 Dane Byers rounded off the scoring for Storm with the 5th unanswered goal of the night, to give Storm a historic 7-5 win over the Sheffield Steelers, their first since being reformed.